Windwaker, Spirit Tracks and even a Link Between Worlds will all be represented in Hyrule Warriors over the coming months. Nintendo have outlined their plans for DLC, and it includes fan favourites and… interesting choices. The packs will be available on both the original Wii U version of the title, and on the 3DS outing, although more content will be available for the portable version of the game. As well as the packs being available individually, you can pick up a season pass that includes all the content. Fans who buy the 3DS version of the game will also get a code that entitles them to certain new content in the Wii U version. That includes Linkle, Skull Kid, Toon Link, Tetra, King Daphnes and Ganondorf’s trident weapon. There will be four DLC Packs for Hyrule Warriors: Legends on Nintendo 3DS, which can be bought separately or all at once in the Legends of Hyrule Pack Season Pass. 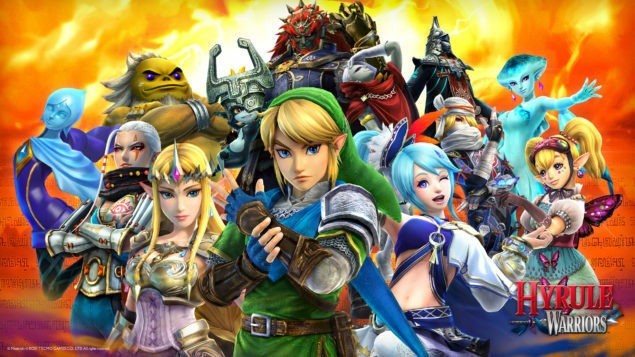 For the 3DS version of Hyrule Warriors, the Wind Waker pack will be available for £1.79/€1,99. The content isn’t available on Wii U. All other packs will be £6.29/€6,99 on 3DS, £4.49/€4,99 on Wii U and £8.09/€8,99 for both. The season pass is £13.49/€14,99 for Hyrule Warriors: Legends, £8.99/€9,99 for the original game and £15.29/€16,99 for both versions.